Looking for something to eat in a place where offers food just right or even more for your tummy? Then, why not try World Chicken? 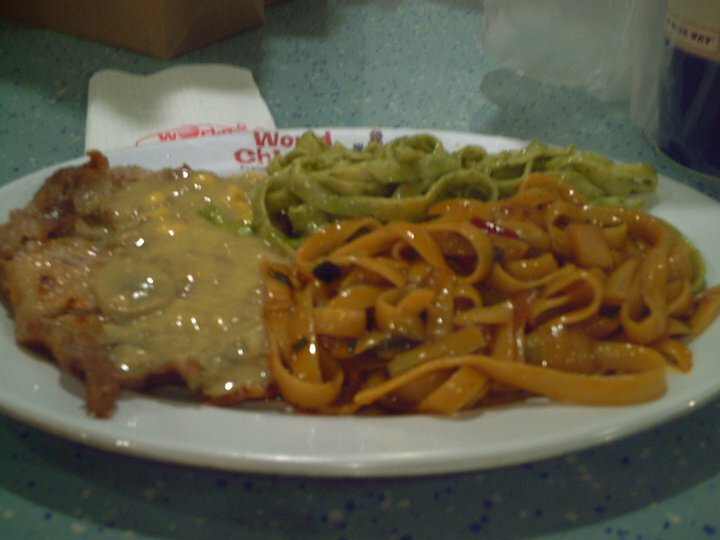 World Chicken offers a variety of food but the best there is of course their chicken meals. Usual cost per order is around P150.00 and this comes with 2 side dishes and of course a sauce of your choice. World Chicken calls it "Create your own platter." You can order P132 worth of World Chicken menu with 1 side dish. Side dishes at World Chicken includes salad, various preparations of rice and more. World Chicken was conceptualized by a group of friends who love to eat chicken. The people behind World Chicken are: Luis Llamado - a U.S. educated and trained chef who has a distinguished career as chef/entrepreneur for numerous restaurants. Jose Camara -- A true-blooded restaurateur with more than twenty years experience in the industry and innovator/head of the successful Garlic Rose, Cafe Caribana and Le Mecene restaurants. Vanessa Yap -- A graduate of the Ateneo de Manila who brings in more than a decade of restaurant expertise. So next time don't forget to drop by at World Chicken and taste their delicious and great meals. You can enjoy them at Glorietta, Grenbelt, WC Insular, Mall of Asia, Pacific Plaza, Pampanga, SM Manila, Trinoma, SM Megamall, and Alimall. This is a reminder that on January 31, David D'Angelo sent you an invitation to become part of their professional network at LinkedIn.